The original model of Tonfuchs is known for its unsurpassed ergonomics. 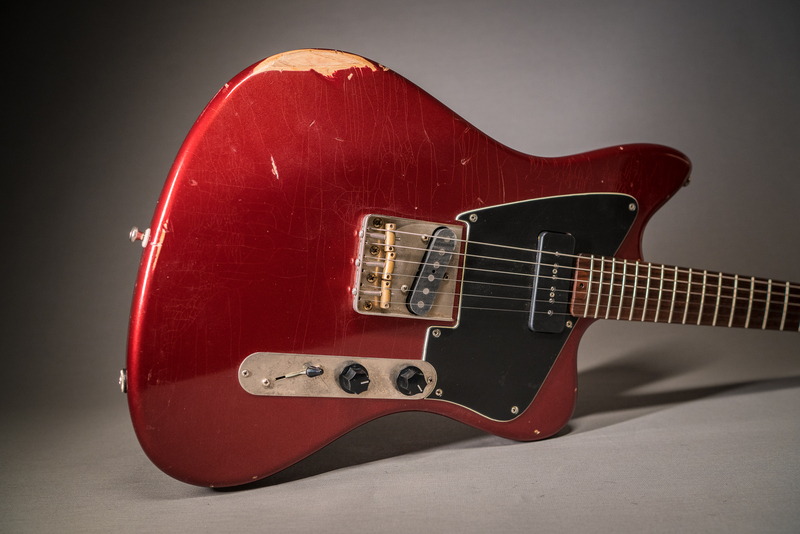 This bolt on guitar is a universal workhorse with high style factor. We are very proud to introduce German luthier, Tonfuchs Guitars. We have been following Uwe’s (guitarmaker) work for years and are happy that these superb handmade guitars are finally here. This Bulldog model in a nitro splatter Royal Red relic finish has a 24,72 inch scale, 21 nickel Silver Wagner frets, double trussrod and a bolt-on neck. Woodgrain filler are purely on a mineral basis. The used timber dries several years or decades. Paper and oil Condensers are used for the electrical system. Strap pins are Security lock compatible. All Bulldogs are unique, so this is one of a kind. Superb playing and sounding guitar. Comes with hardcase.